You can thank Hurricane Irma for canceling your winter travel plans to Saint-Barths, Virgin Islands, Anguilla and much of the wider Caribbean. While much work needs to be done to get these favored destinations up and running again, hopefully by mid-2018, we suggest planning a return to the snow as the first flakes begin to fall across Canada and the Alps. Last year's early snowfall in the Alps made for fabulous November skiing that was quickly followed by rain and one of the worst holiday ski seasons in recent memory. Here’s how to make sure your snow adventure is more powder than slush. If we had to bet on early openings, our money would be on Verbier atop Switzerland's Alps with its location that benefits from November - May snow coverage and posh party scenes like Farinet Lounge that's unrivaled in the Alps. With private chalets like Richard Branson's The Lodge being the way to go in Verbier, anyone hotel'ing it should hold out for the November 18th opening of Trois Vallées Ski Area. In Val Thornens, hotel snobs find more comfort this year at Koh-i Nor or hip outpost of Le Fitz Roy by burgeoning French hotelier Valéry Grégo. 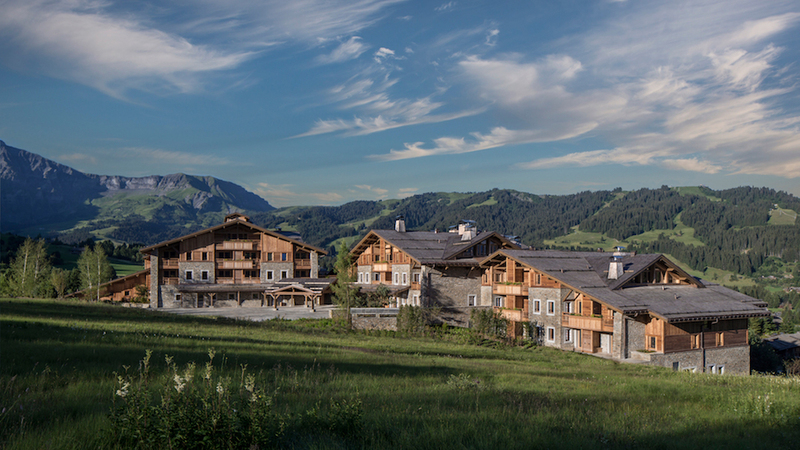 In terms of hotel openings, The Four Seasons Hotel Megève (pictured) is set to debut this season in the backdrop of Mont Blanc in the charming Domaine du Mont d'Arbois owned by the Rothschild family. Baroness Ariane de Rothschild assisted in the property's design and pedigree that includes 2-star Michelin Le 1920 and series of traditional chalets revamped in the heart of medieval Mont d'Arbois village. In North America, Aspen's The Little Nell is strutting a new remodel by Alexandra Champalimaud that includes all guest rooms within our favorite Colorado property. With its burgeoning art scene, Aspen Institute and last year's record snowfall that had locals skiing into May, Aspen has emerged as the premier ski destination in the US for yet another year. Further north, Whistler benefits from a predictably early snow base and full mountain opening on November 24th that's often moved up based on snow conditions - this year looks to be even better. Whistler's hotel infrastructure, however, is limited to aging Four Seasons Whistler, removed Nita Lake Lodge and 90s resort facilities mean your stay is best spent on the mountain and not in the hotel.